Uncompromising, eccentric, atypical, yet immensely talented are the words most commonly used to describe Danish cabinetmaker Peder Moos. His work with wood was instinctive, magical, almost mystical and did not obey any rules. Over the course of his entire career, Moos only produced between 30 and 40 custom ordered pieces, nearly all of which he made himself, and several of which Modernity owns in its collection today. Moos was educated at Askov Højskole, an institution for adult education that does not grant a degree. In 1935 he opened his own workshop and took night classes at the Royal Danish Academy of Fine Arts, where he studied under master architect and designer Kaare Klint. Moos once told an interviewer that his talent with wood manifested itself spontaneously when he was three years old. One of his earliest pieces was a spectacular bed he designed for himself. 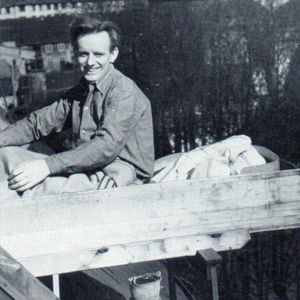 Peder Moos liked sleeping outdoors in the fresh air, so the bed was made so that it could slide in and out of the window of his little apartment(see photo). Peder Moos was not driven by a concept of decoration. His priority in design was to function and use, however he clearly was not blind to aesthetics. The brilliant curvilinear organic forms were products of his instinctual craftsmanship and the characteristics of the woods selected. The most impressive and distinct elements of Moos’s designs are the details of the craftsmanship. For Moos, decoration was extraneous and what were identified by others as his decorative elements were for him a result of function. Primary woods were chosen for hardness based on the function of the form while the secondary wood added strength and color. 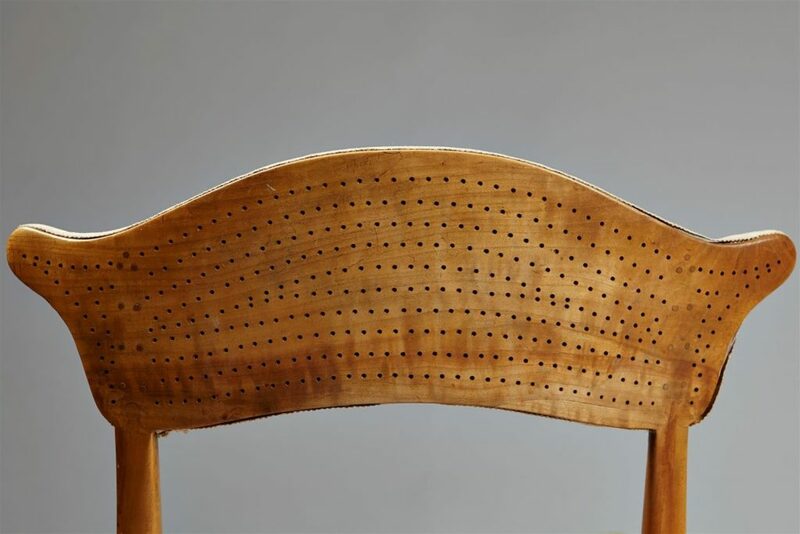 It is the functional details that create the unprecedented beauty in the design of the furniture of Peder Moos. His curved wooden shapes are evocative of a past Art Nouveau style and yet all his pieces also bear their very own uniquely Scandinavian elegance – they are lighter and more stylized. Moos did not lose himself in detail dictated by function and he never used so much as a nail or screw to assemble his furniture. Joints were always constructed with dowels and wedges in a contrasting wood, creating beautiful special effects. He made a virtue out of necessity. The gifted designer never applied a finish to any of his furniture. Instead, he used fine wood shavings he rubbed onto the surface, which gave the wood a very delicate appearance. 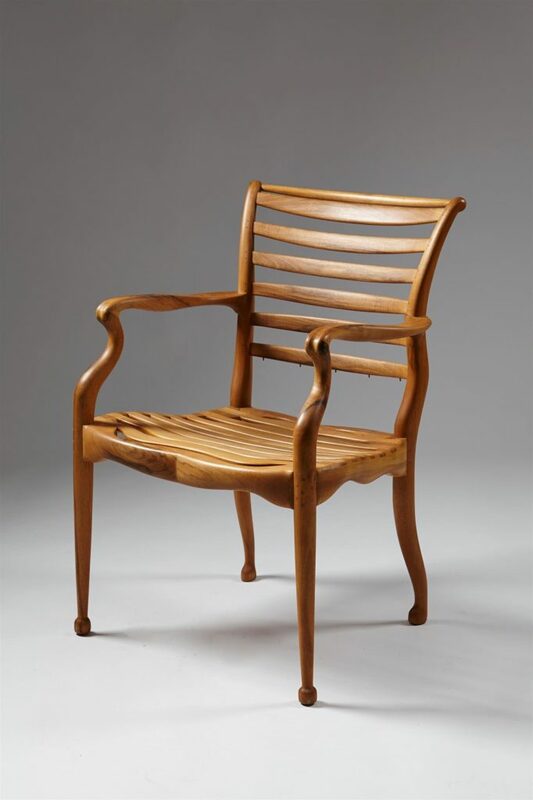 As well as signing his works, Moos chose an emblematic design that exhibited both his sensitivity to contrasting wood, as well as his creativity. The design combines two “x” forms, which signify the twentieth century. Embedded within the design are also two “M” for Moos, enclosed within varying types of wood. Just like the customers of famous architect and furniture designer Kaare Klint, Peder Moos’ clients needed to be able to display a certain degree of patience – order a piece of furniture and it was delivered when it was finished. Moreover, legend has it that Moos used to move in to the client’s family house to get inspiration on what type of furniture they needed. What the client actually ordered had little meaning. What’s more, price was never a limit. 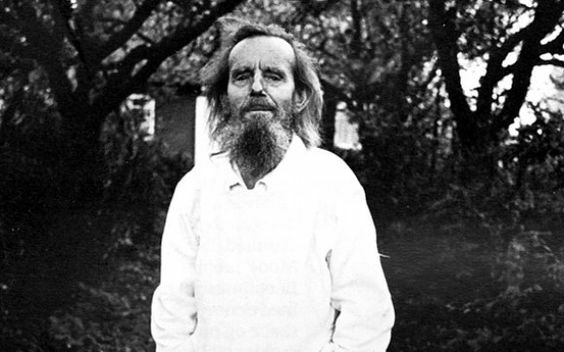 As famous Danish designer Grete Jalk once said, he was “a man for whom the work itself was sacred and who considered the economic result to be an irrelevant banality” (Grete Jalk, ed., Dansk Mobelkunst gennem 40aar). 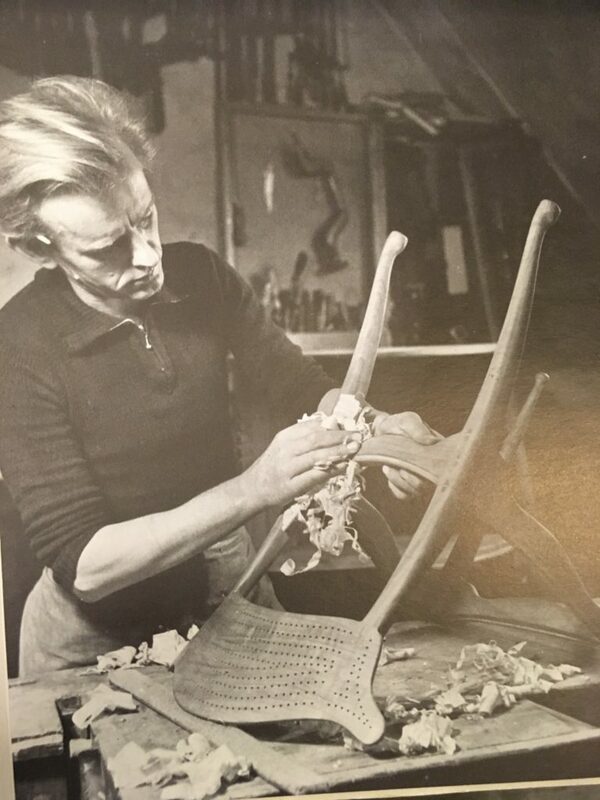 If a customer asked what a piece was going to cost, Peder Moos always replied that a fixed price would prevent the furniture from being as good as it could be, and that if the customer thought the final price too high, they could just leave the piece standing in his workshop – Moos could then sell it to someone else. More than once it happened that a customer came back to fetch the furniture that to begin with they thought was too pricey. But if they did finally agree to pay, they could then boast a piece that could compare to the best work of art – an instant museum piece. 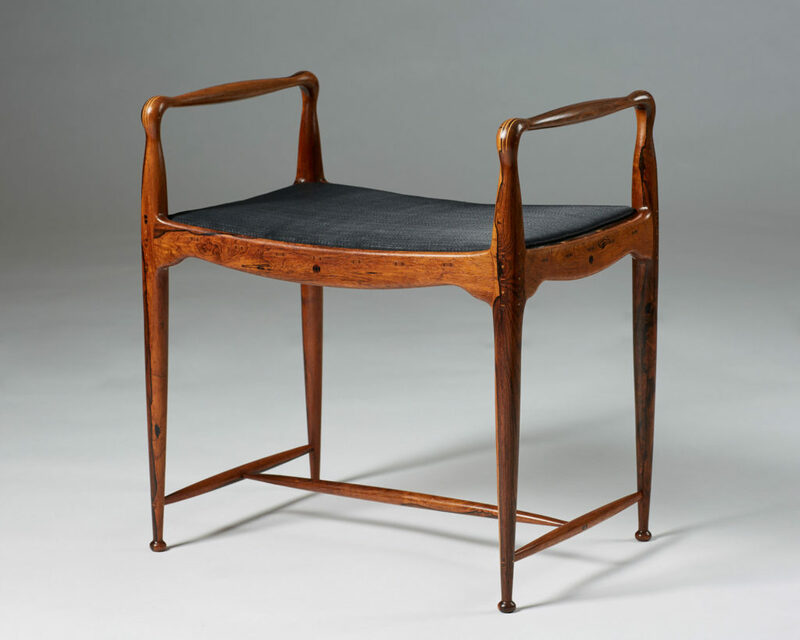 “One marvels at the fact that it is possible to bring the art of furniture making to such a degree of perfection” (Grete Jalk). Peder Moos' furniture has been exhibited internationally at Museums in Stockholm, the Hague and New York's MoMA. 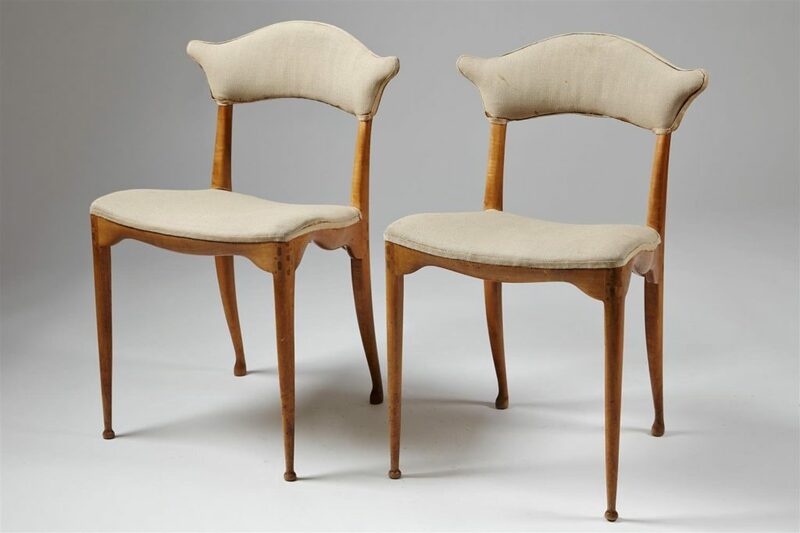 His elegant pieces undoubtedly typify the early mid-century Danish design sophistication and gained fairly late recognition from the design market. 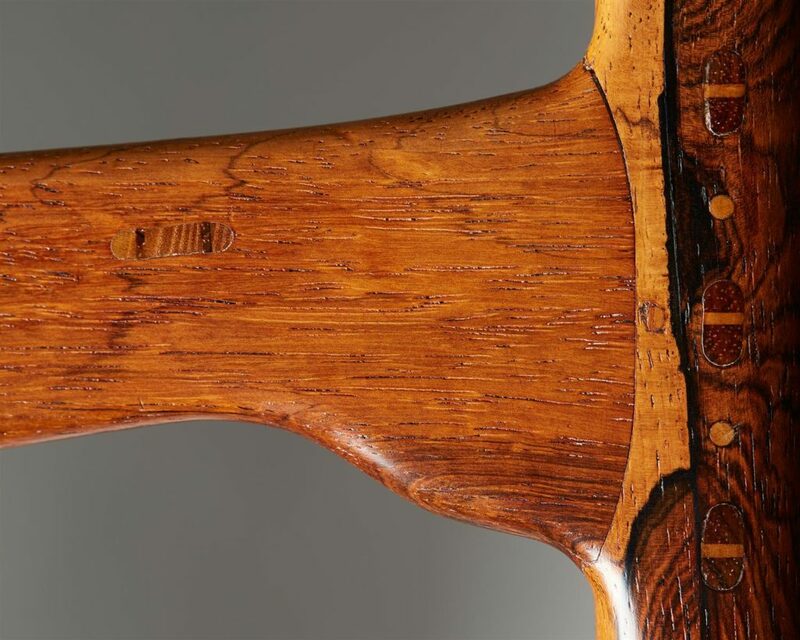 Peder Moos' breakthrough undoubtedly came with last year's Philips auction where a table by Peder Moos sold at a record high price for a piece of Nordic design - over £600,000. One may wonder though: why did it take so long for Peder Moos to get the recognition he deserves? Well two reasons according to Andrew Duncanson, Modernity's founder and director: "First of all, Nordic design has become more desirable in general, and second, it takes always longer to establish market recognition when there is such a limited amount of pieces produced. The market eventually realizes the quality of the work, and that is when a designer like Peder Moos is valued like he deserves". Modernity is pleased to present five of the 30-40 pieces designed by Peder Moos. See collection here. Stool designed in 1954. Brazilian rosewood, ash with boxwood inlays. 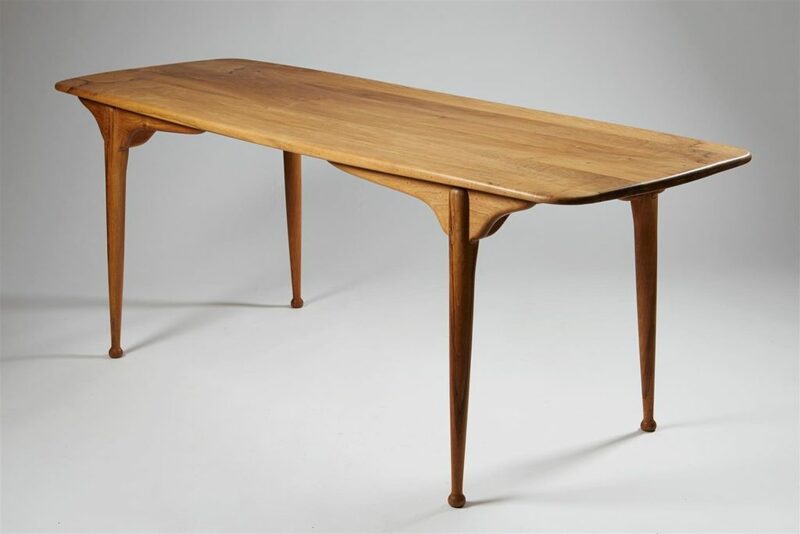 Table designed in 1949. Solid walnut.